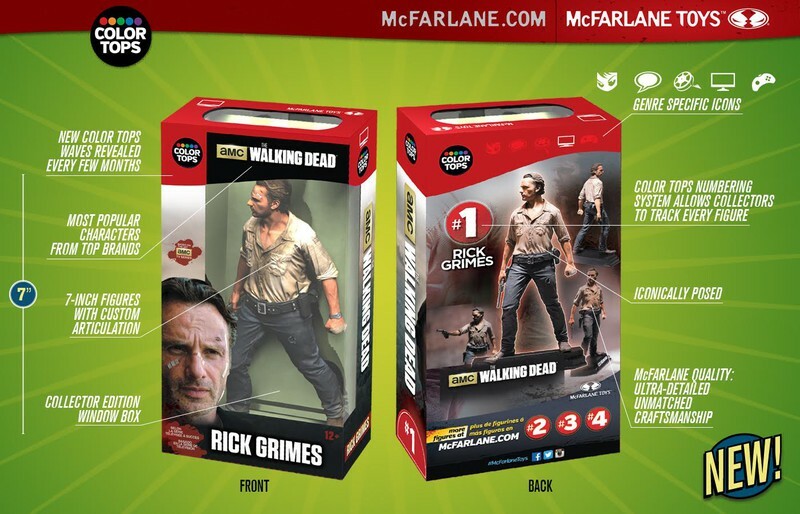 McFarlane Toys, the makers of posable figures from popular U.S. shows and games like The Walking Dead, Five Nights at Freddy’s, Titanfall 2 and Gears of War 4 are adding Attack on Titan ‘s Survey Corps. member Mikasa to its Color Tops toy line. The Color Tops toy line features prominent characters from popular brands in a collector’s style window box. 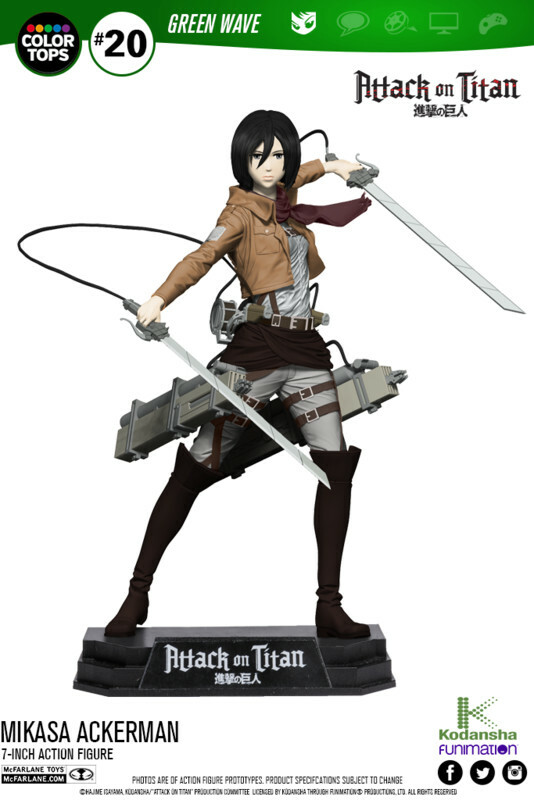 Each figure is posable and 7 inches in height; Mikasa herself has 14 points of articulation so fans can recreate some of her best action shots. 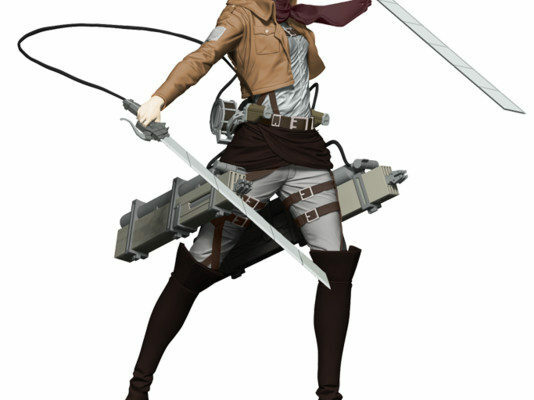 Mikasa will be available for pre-order on Amazon starting on November 9 for US$19.99. The figure will then ship in April 2017 and also become available in retail stores. McFarlane Toys is also planning to add Eren to its Color Tops line-up at to-be-decided date. The company has multiple anime-related characters set to join the line-up including Naruto and Ken Kaneki from Tokyo Ghoul . Hajime Isayama ‘s Attack on Titan manga has over 60 million copies in print. Isayama’s Attack on Titan manga depicts the battles between humans and the giants who now rule the world outside humans’ walled enclaves. Kodansha published the 20th compiled volume in Japan on August 9. Kodansha Comics publishes the manga in English, and it shipped the manga’s 19th volume on August 2. 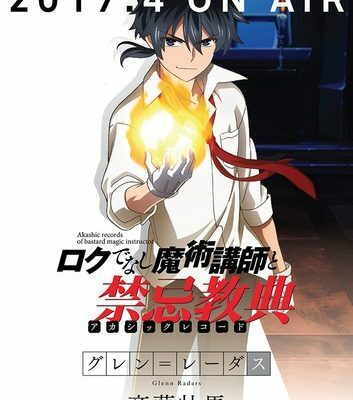 Crunchyroll also publishes the manga in English digitally as new chapters are published in Japan. 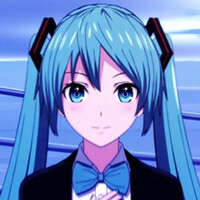 The manga inspired a 25-episode television anime series in 2013, with a second season set to premiere in spring 2017. The anime’s first season also inspired two compilation anime films in 2014 and 2015. Isayama’s original manga has also inspired numerous spinoff manga, several novel series, a two-part live-action film project, a spinoff live-action television series, an OVA , and several video games. Two of the spinoff manga — Attack on Titan: No Regrets and Attack on Titan: Junior High — received anime adaptations of their own. 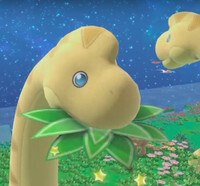 Monster Hunter Stories: Ride On Ep. 12 is now available in OS.